“I want to make my province known” asserts blogger Edgar Andres Yana Lisme, who was born on November 10, 1974 in Chaguaya village in the Camacho province of Bolivia. He is a naturally curious man and a self-learner. He went to the Francisco Beltrán Díaz school in Chaguaya and later attended the Germán Busch High School in night shifts. 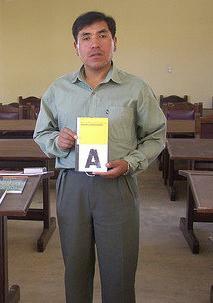 In 2003 he started studying in the Department of Education Sciences in the Chaguaya campus of the Public University of El Alto. 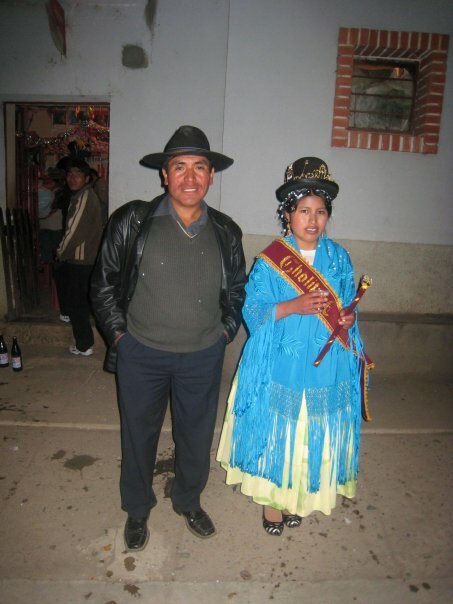 In January 2008 Edgar joined a blog outreach workshop organized by the Rising Voices grantee Voces Bolivianas, which took place in El Alto. And this has changed his life. He does not have internet or mobile signal in his village on the Altiplano. But he travels to El alto (about 2 hours away from home) to upload content to his blog, his twitter account, his Facebook account and his Flickr account. And if you did not know this information you could barely make out from his prolific online activities what challenges he face to be online. A lot of people would give up engaging in social media and citizen journalism when they have no internet access in their community. But Edgar prepares his contents offline and uploads at a later date when he goes to El Alto. We caught up with him with an interview by email, which was translated by Eduardo Avila. * What was the first impression of the workshops and blogging in general? I was impressed because I did not have knowledge of the use of blogs and other tools. At the time, it was strange to learn about that service. * Tell us about your blog. Why did you choose the title NUESTRA CULTURA PRIMERO (Our culture First)? People are a part of culture every day of our lives which is the activity for that name. * How blogging has changed your life? I make my province known, the contacts that I have are always the institutions that provide internet service, and on the other hand, when people arrive to the city and visit my blogs. They ask for news, customs from the region and province. * What is your impression about citizen media conferences like Bloguivianos and Barcamps. When I attended the Bloguivianos workshop for the first time, I saw the the direct link with migrant communities in Spain, United States, Mexico, telling about their experiences. The BarCamp was a place where one can freely present their topic. All Saints festivities in Chaguaya. Image from Edgar's Flickr. * What do you want to achieve with your blogging? To make more contacts with people from all over the world, to be competent in the articles that I write. * What is your future plan regarding the use of citizen media? It is to spread and reach the most people from my province, Camacho, especially to the students, with seminars, workshops, among others, about the use of blogs, twitter, Facebook, picassa, and other tools. Edgar is so committed in his cause that he has been working with the local authorities to set up a Tele-center (public space with computer access). The project has been delayed, but he is still holding out for that. 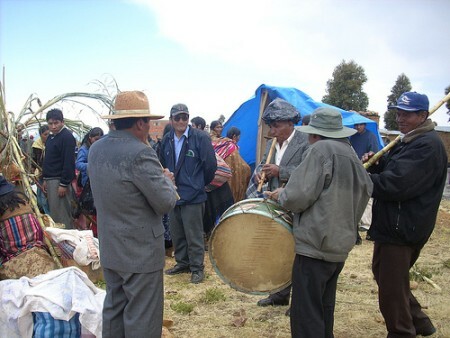 In his blog he writes about the local cultures and explains different rituals. He writes about the problems of the society and addresses to the authorities how to have a solution for them. He shares this letter to a mother from an anonymous abortive child which is so moving. There are many bloggers in the world like Edgar who, embracing citizen media, are fighting all the odds to share with the world about their challenges – the world barely notices.